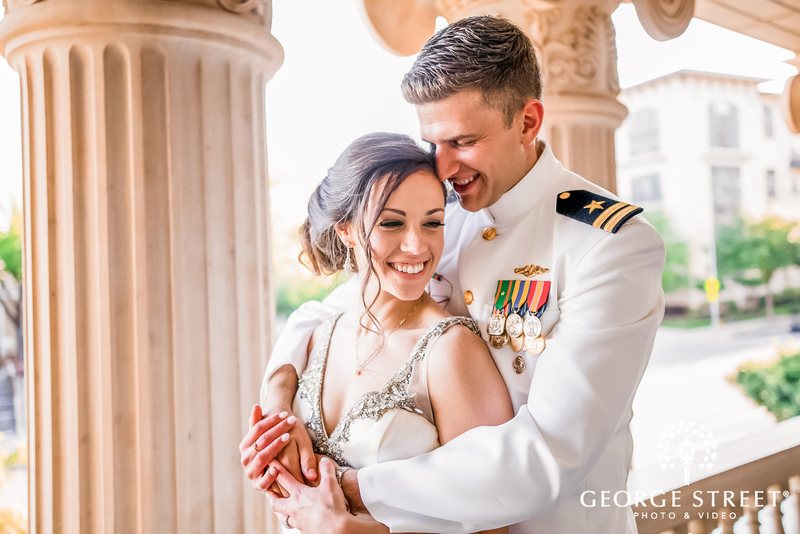 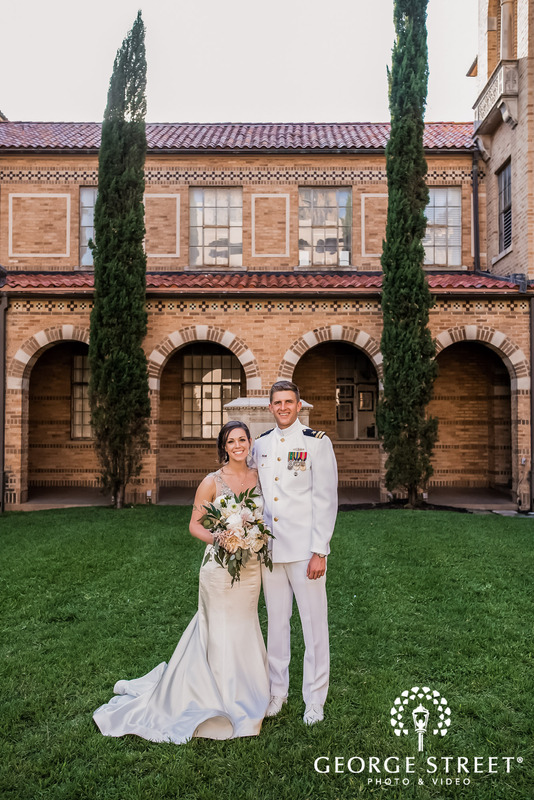 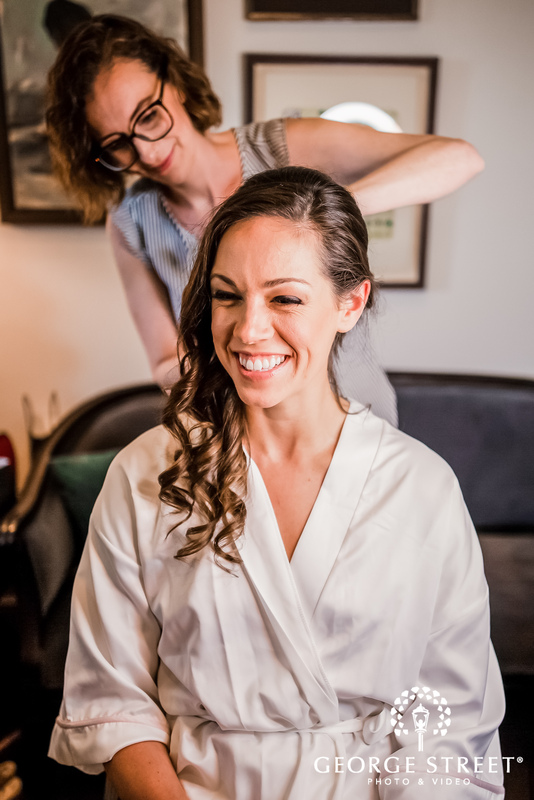 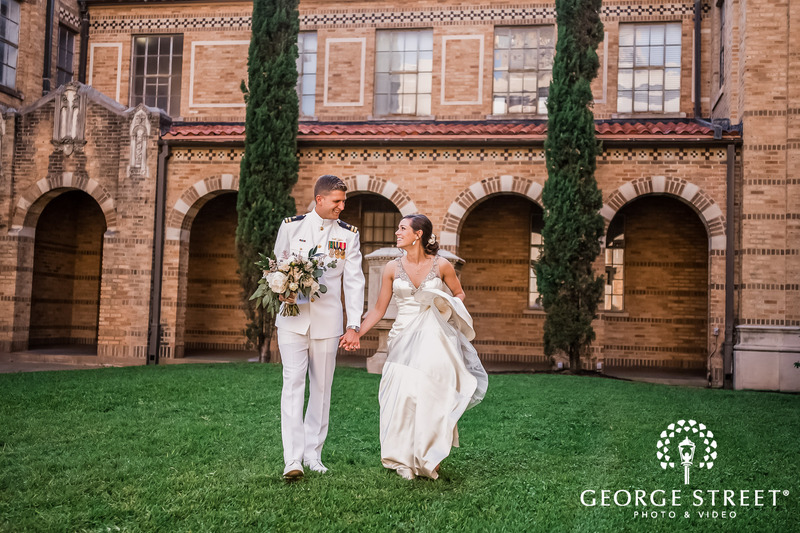 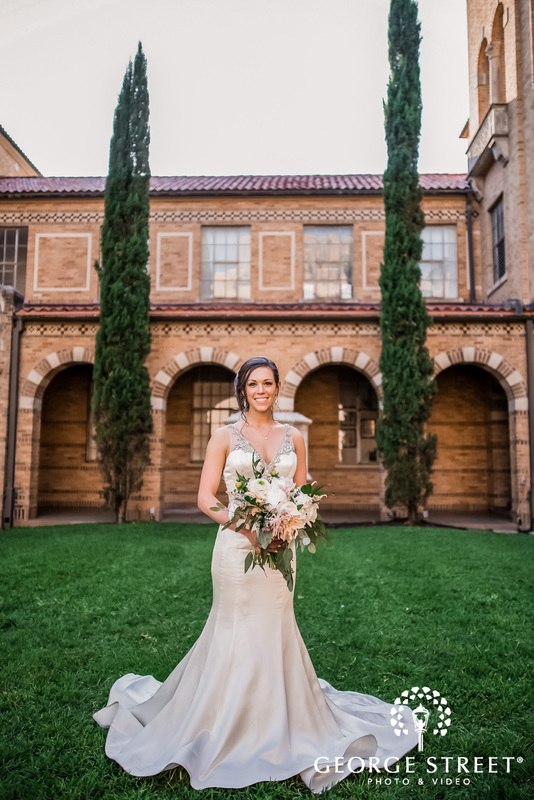 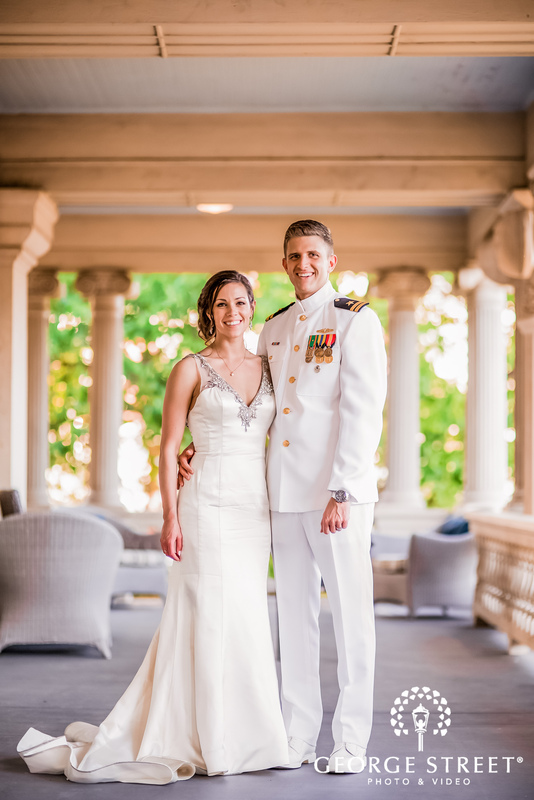 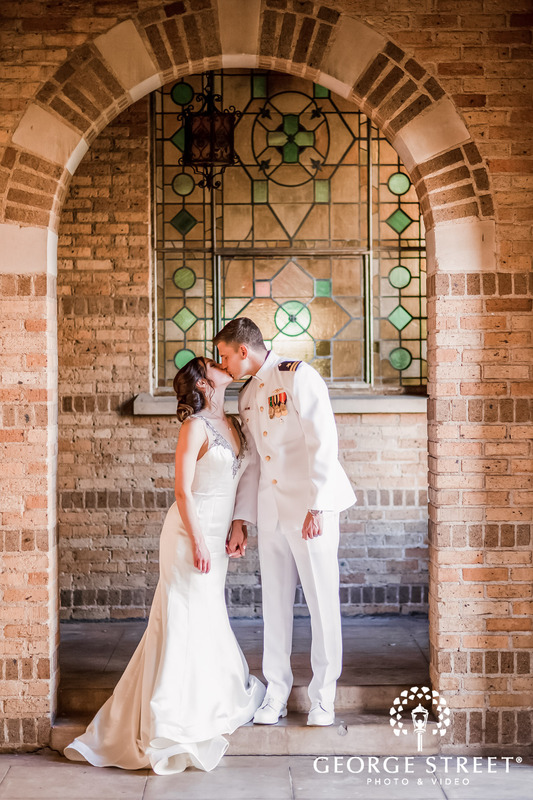 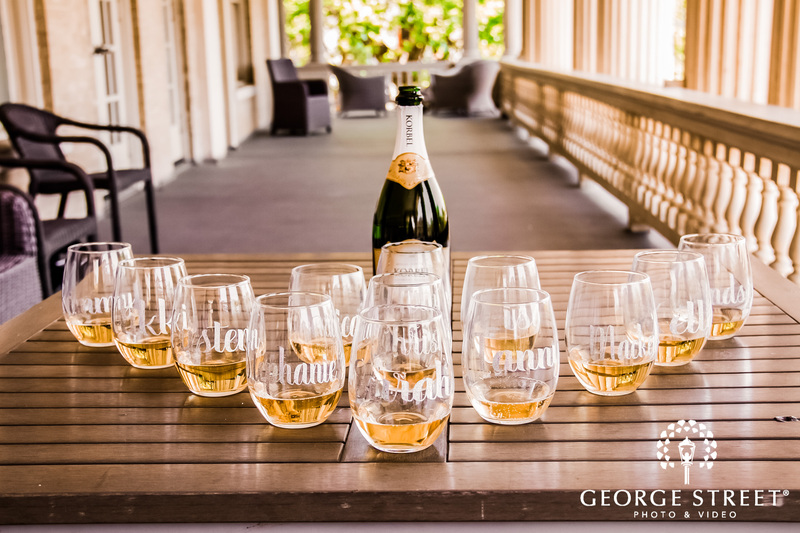 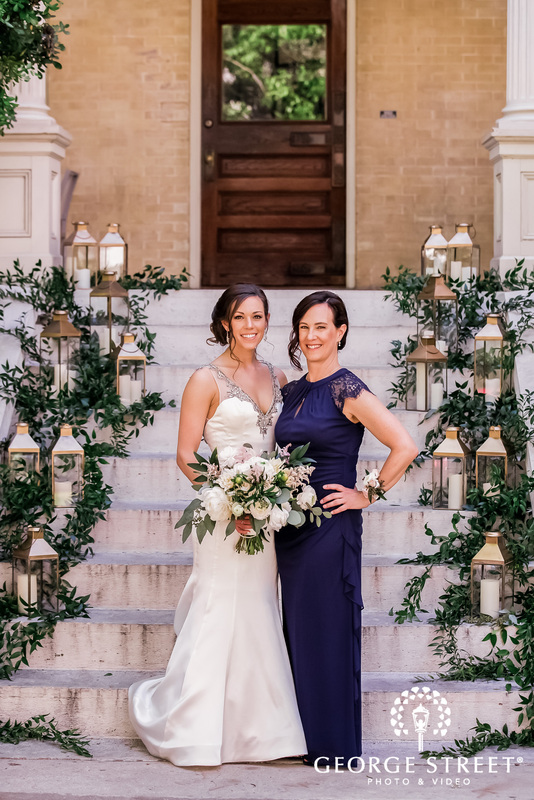 Sarah and Ryan made for a picture-perfect couple at their wedding venue, the beautiful Hotel Ella in Austin TX. 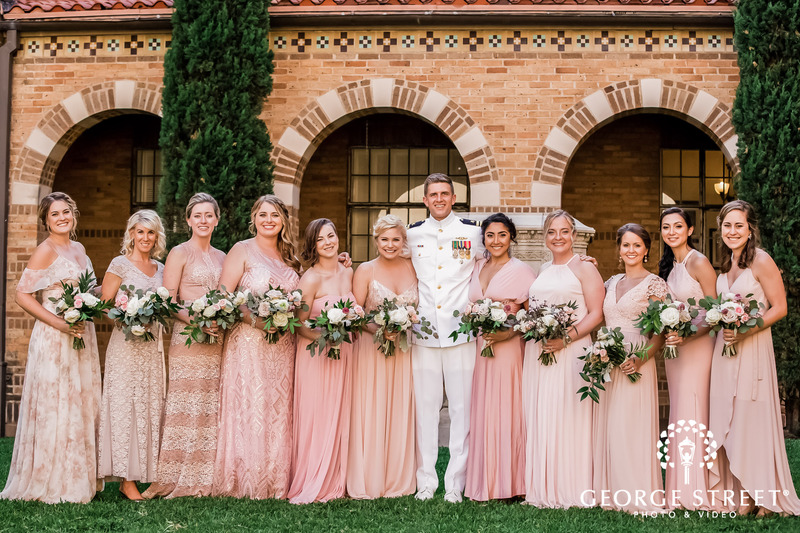 Their wedding featured a spring-inspired theme including outdoor portraits, a small church ceremony, and romantic reception details. 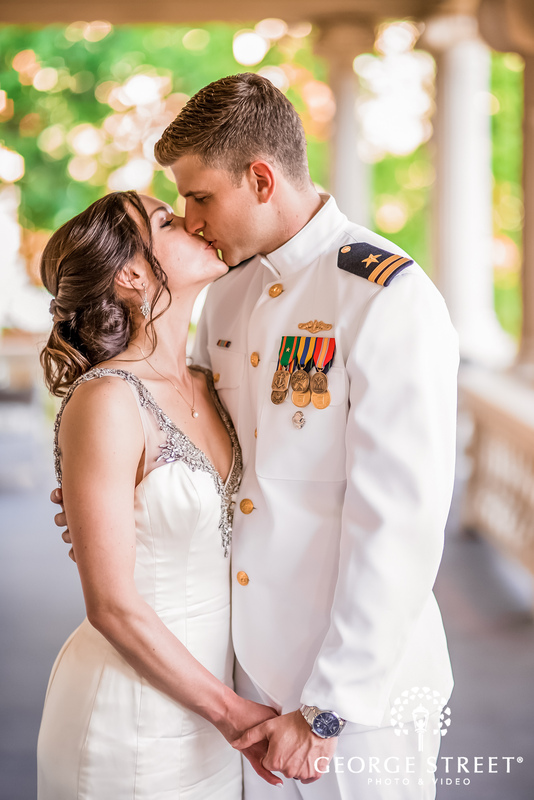 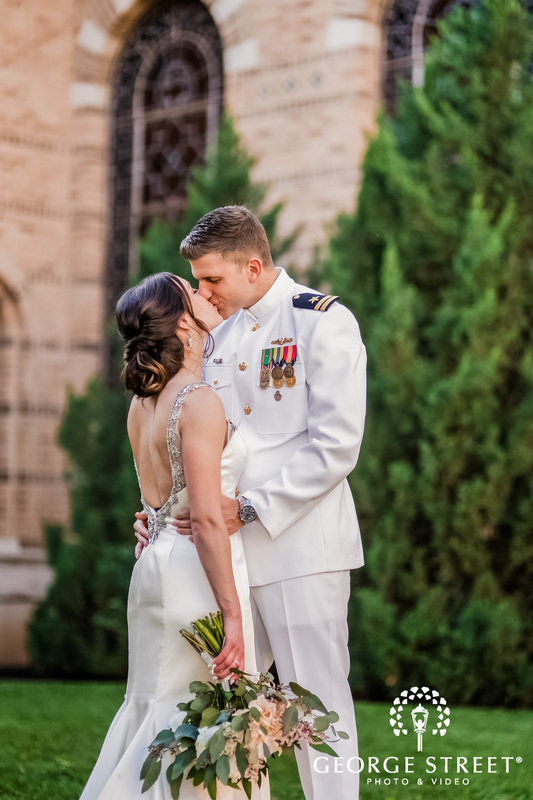 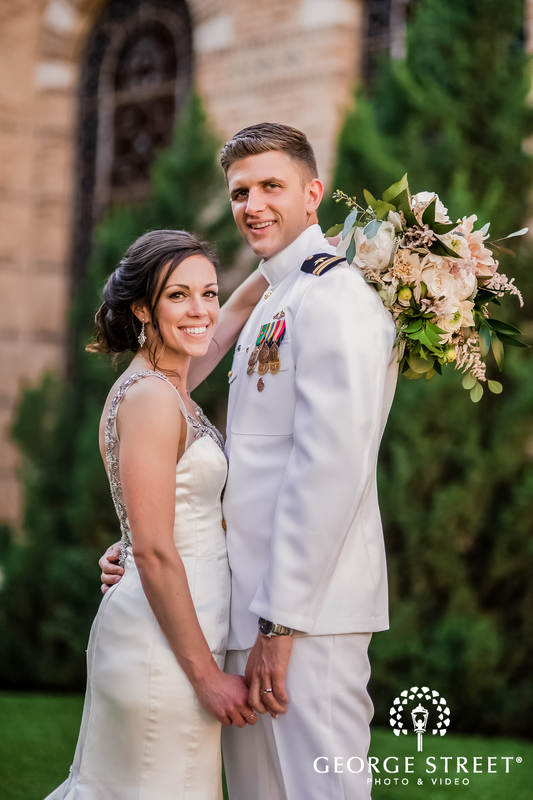 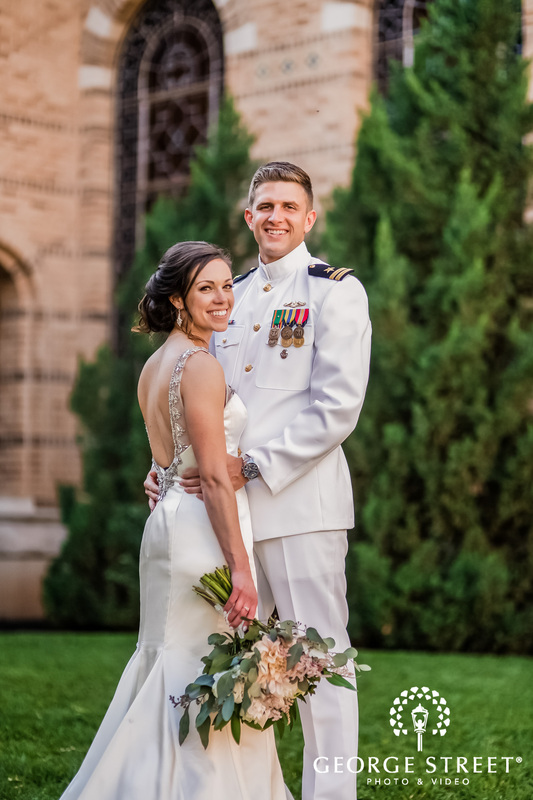 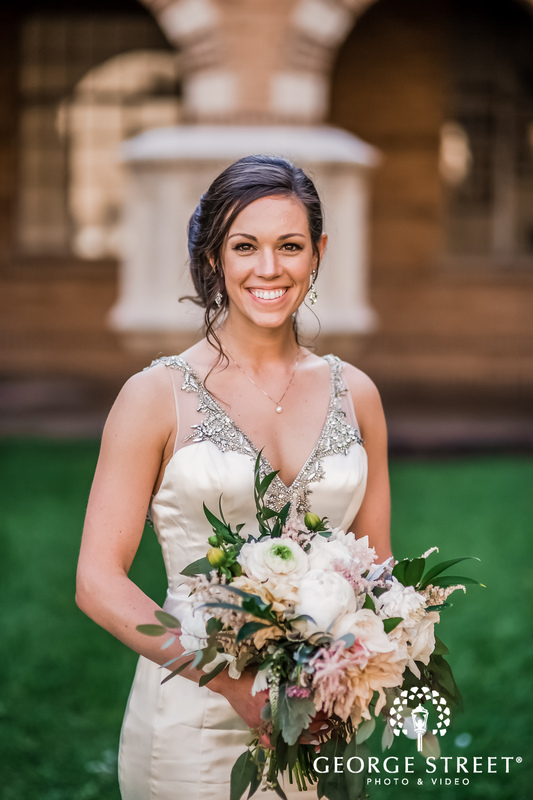 Sarah looked absolutely regal in an ivory silk dress with delicate lace and ruffled full skirt. 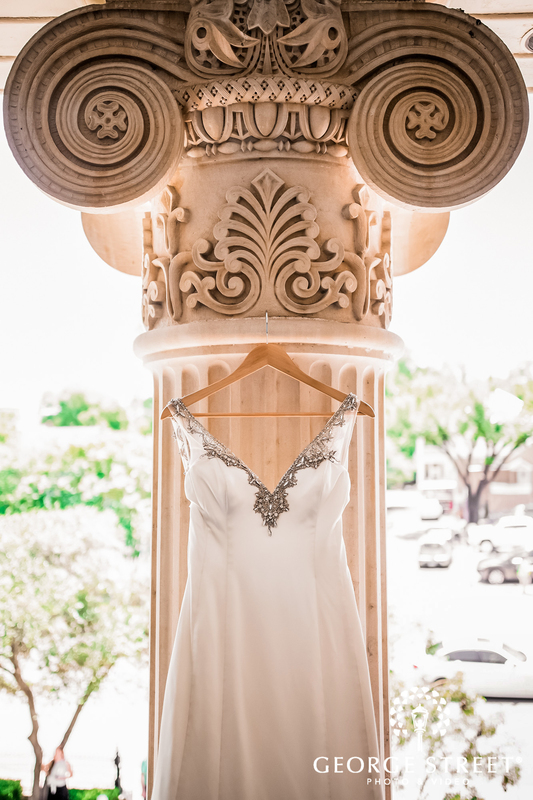 The dress was exquisite and it outlined her silhouette perfectly. 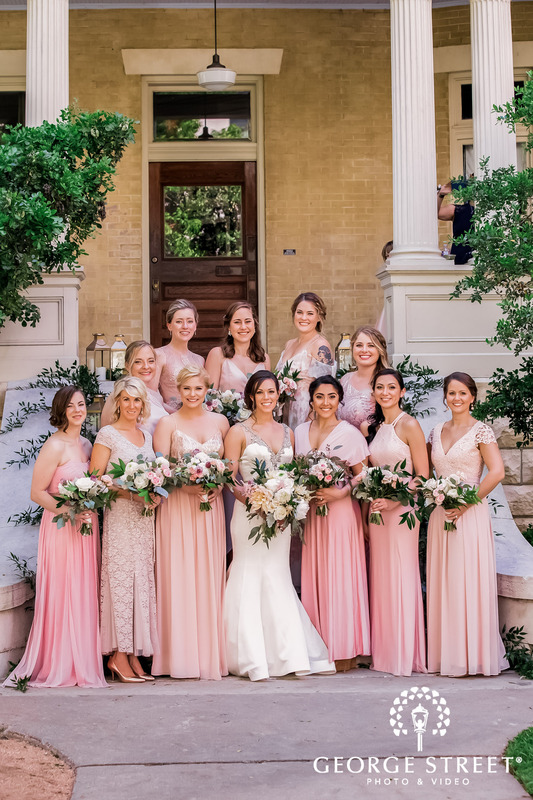 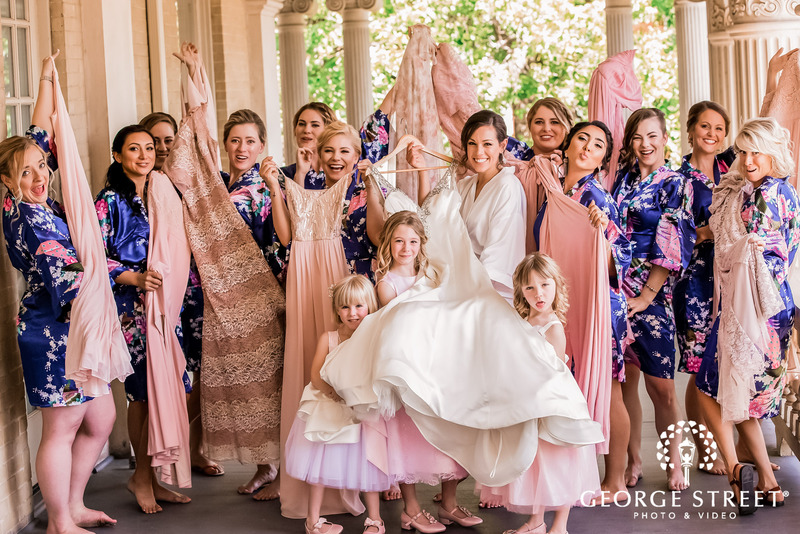 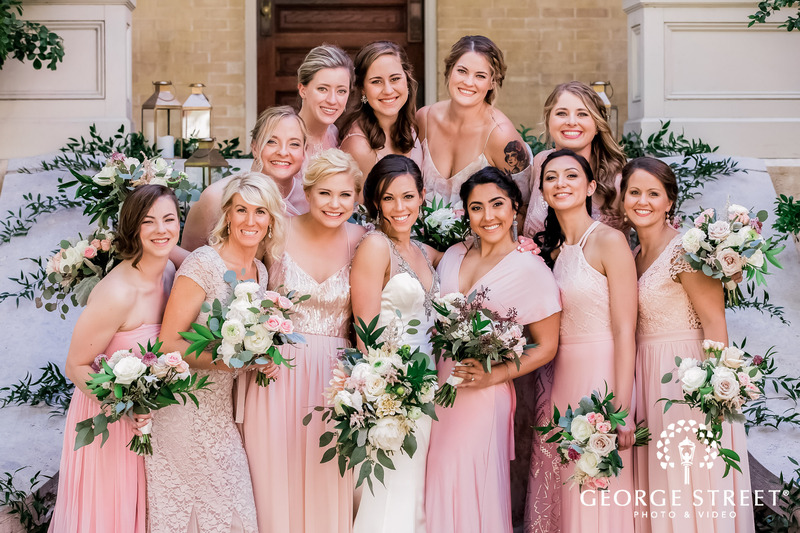 Sarah’s bridesmaids were also a vision in pastel pink! 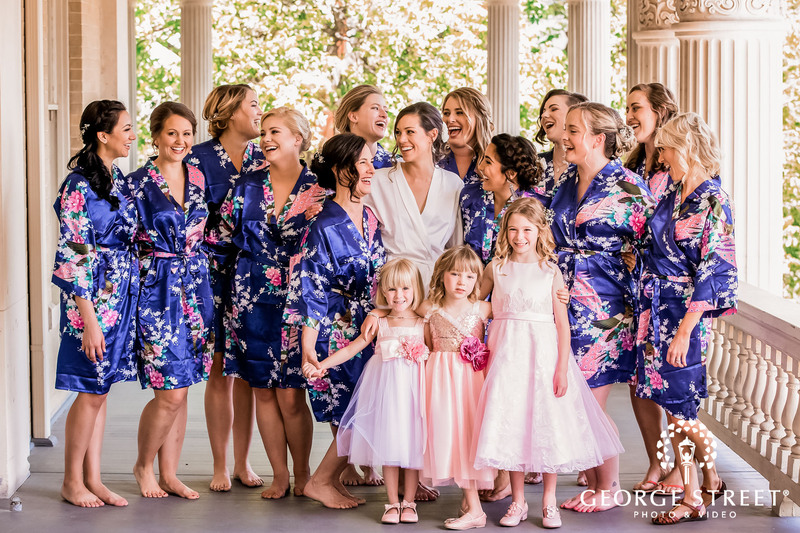 They wore mismatched dresses of silk, sequins, and lace. 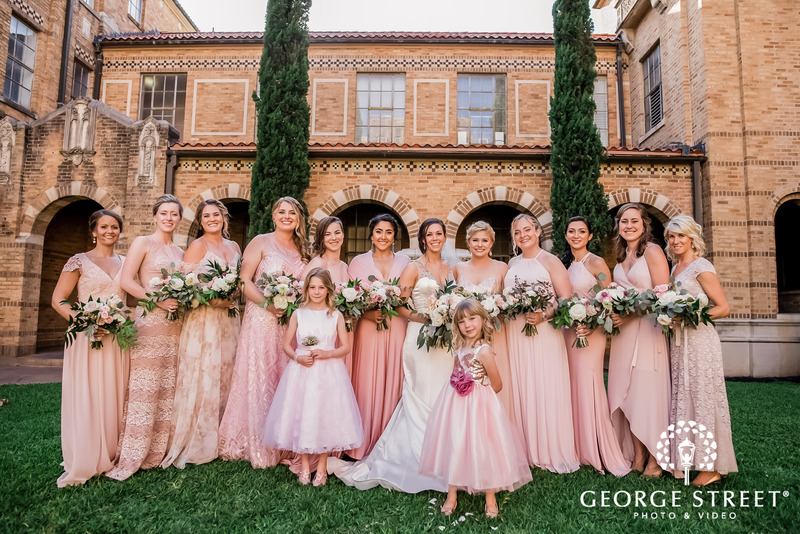 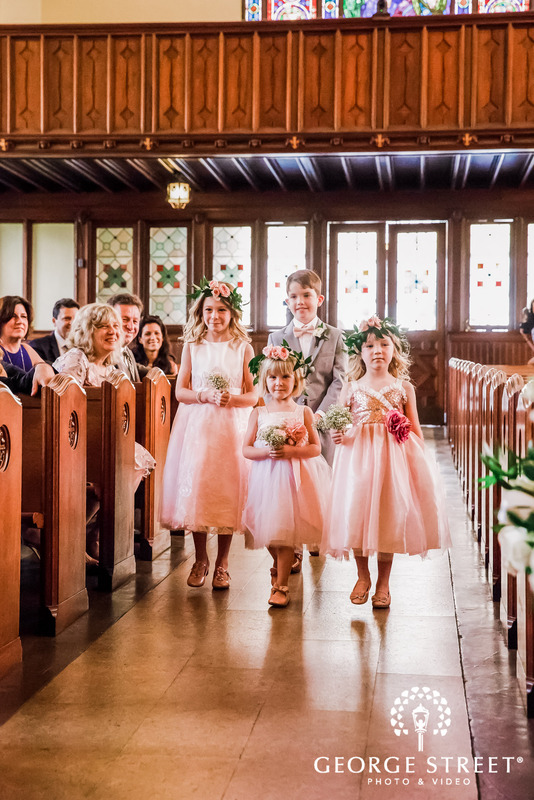 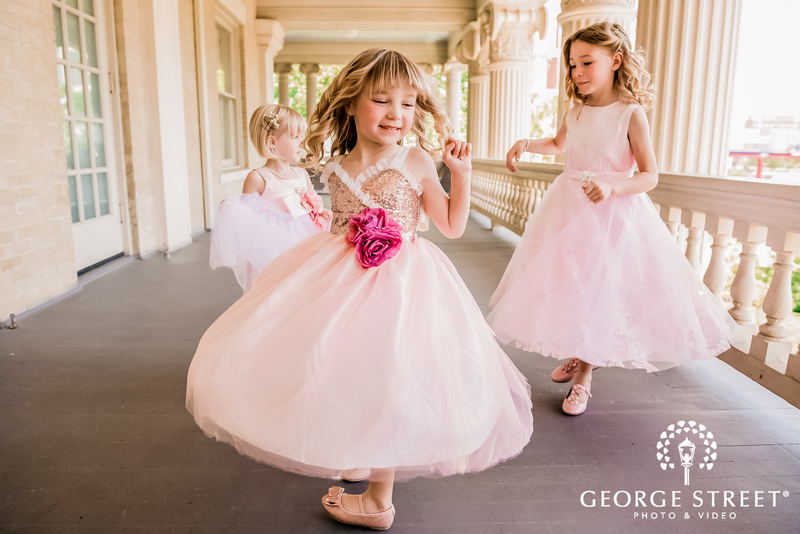 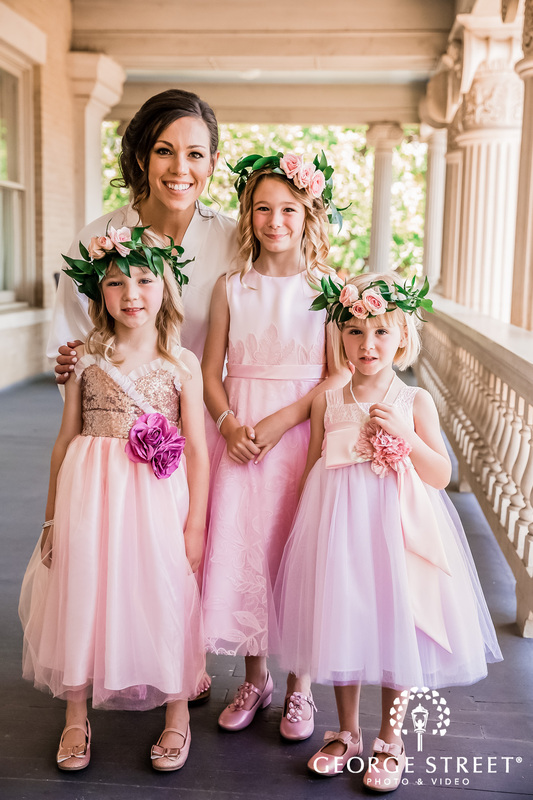 The flower girls, too, brought out the wedding party and were adorably dressed in pastel pinks that complemented the wedding party. 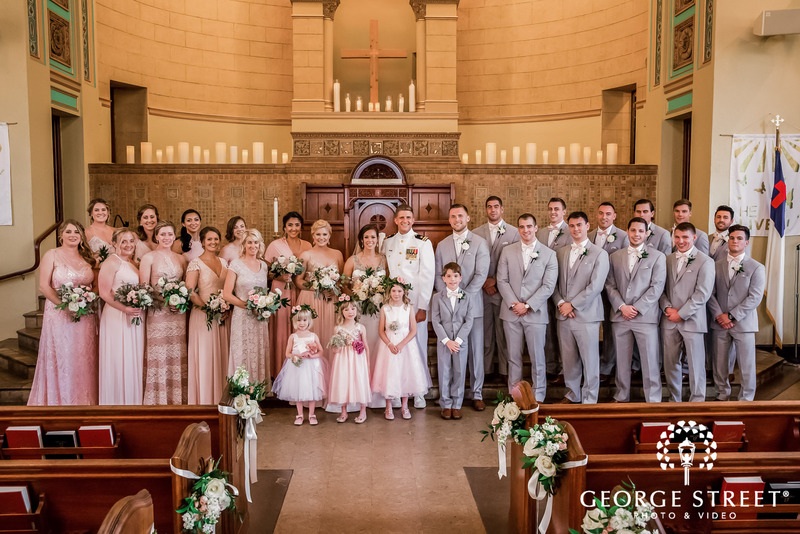 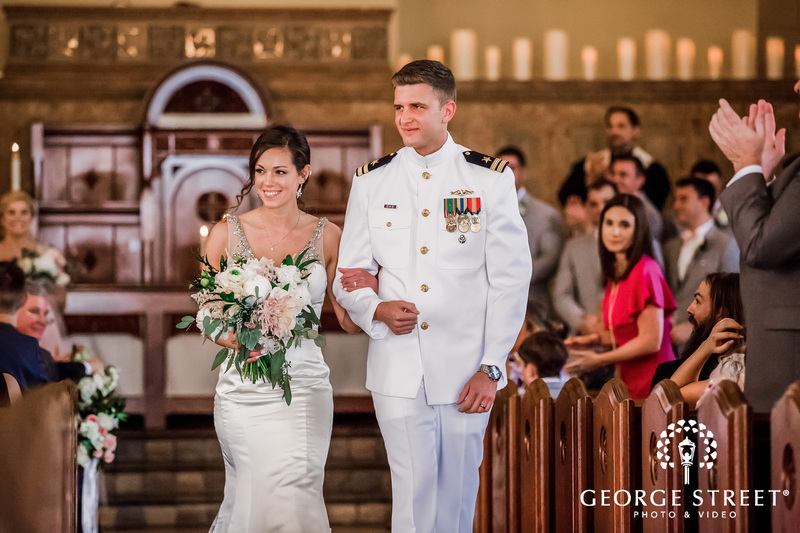 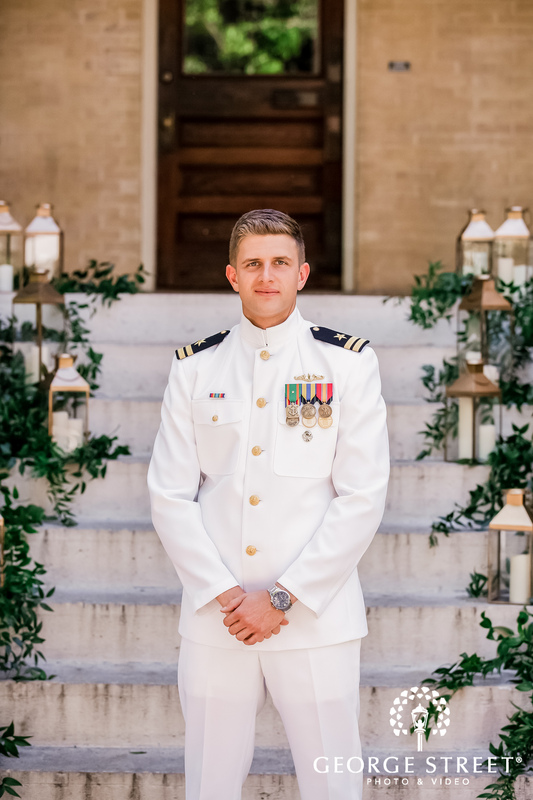 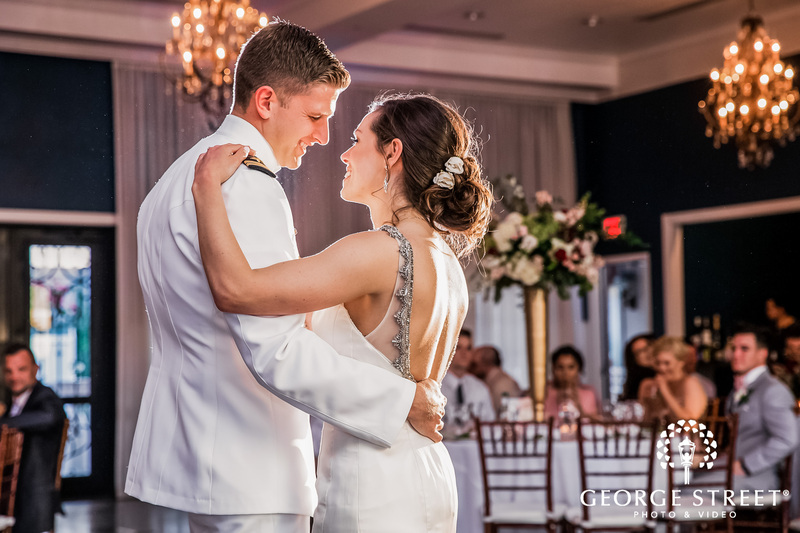 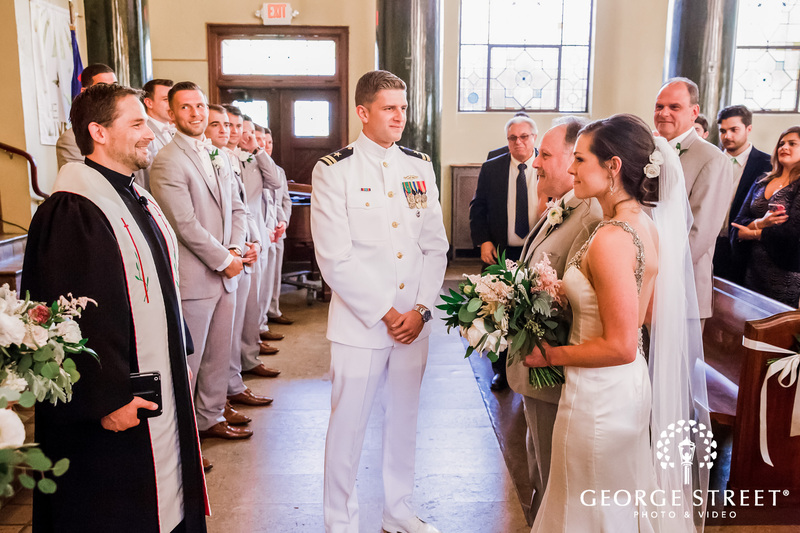 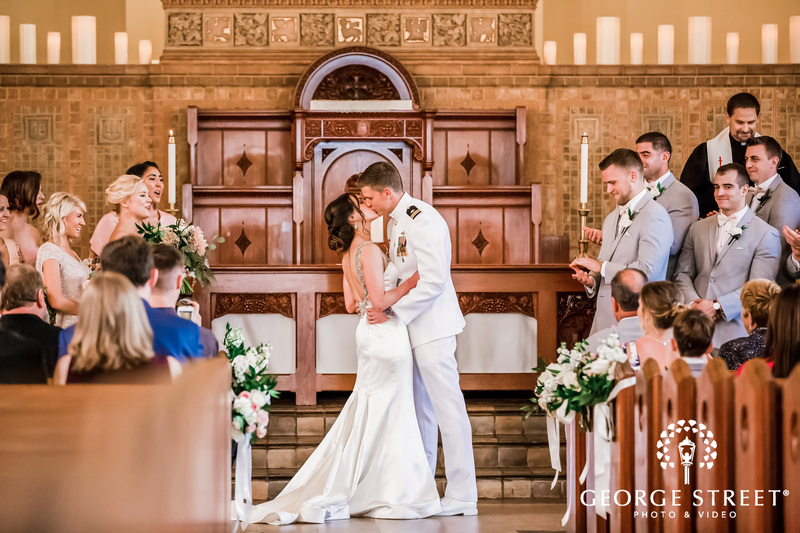 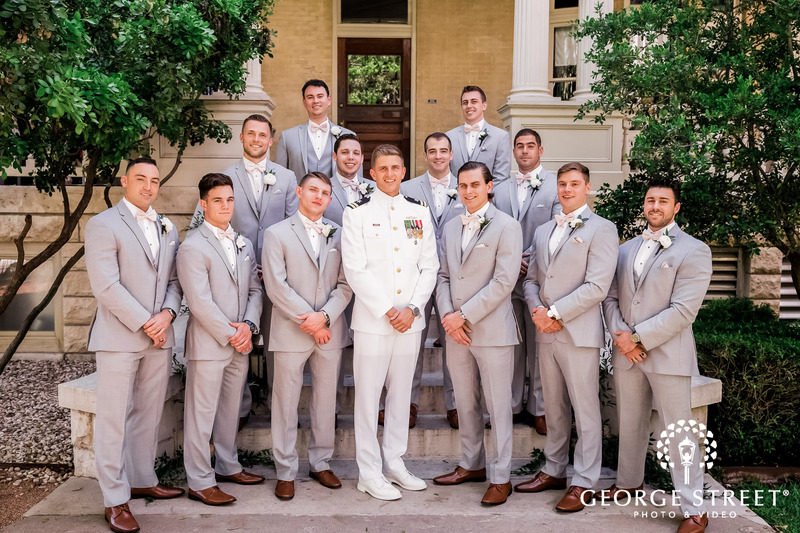 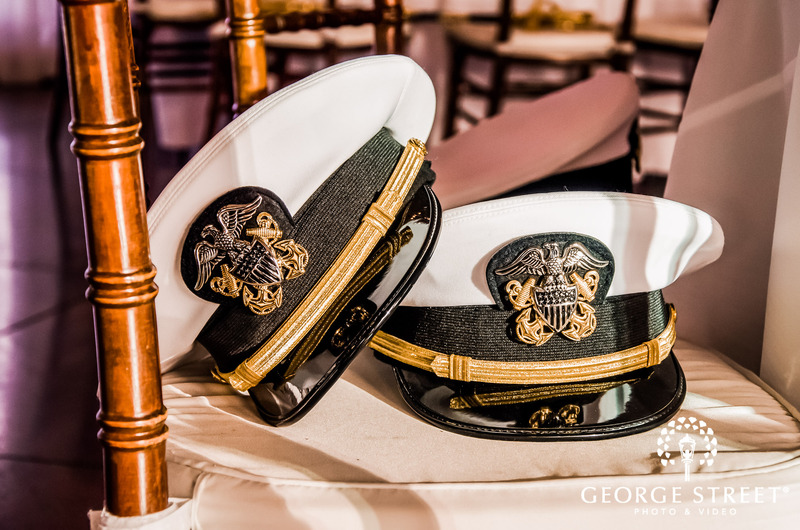 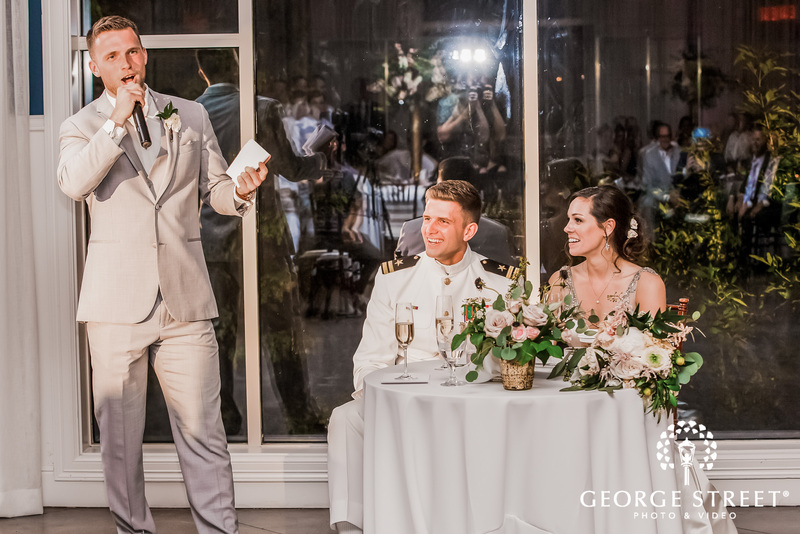 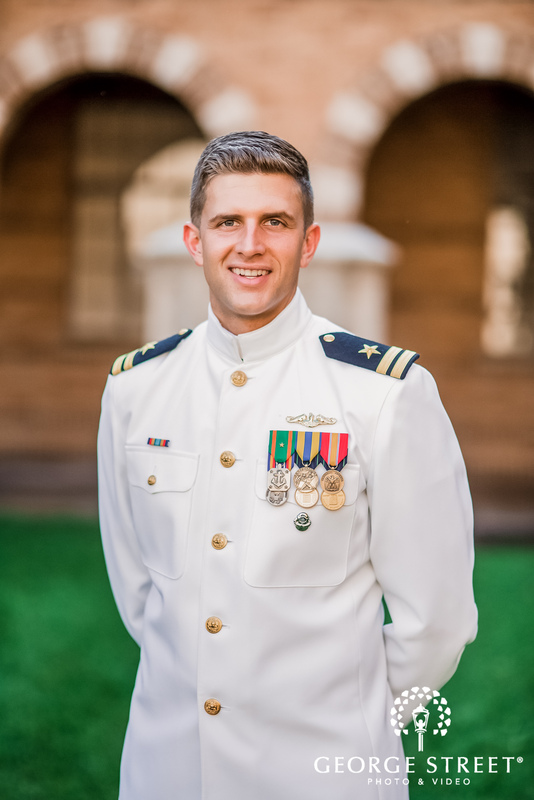 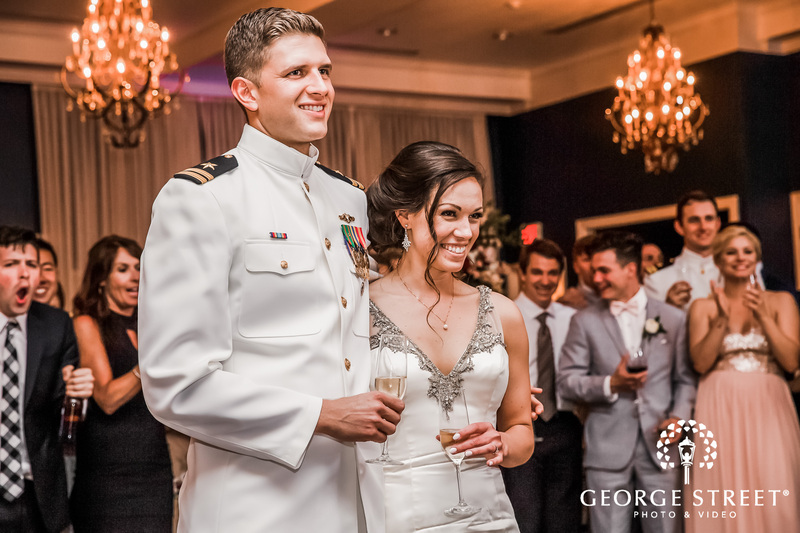 The groomsmen wore various shades of grey with matching pink bowties that complimented Ryan who was dressed impeccably in his US Navy uniform. 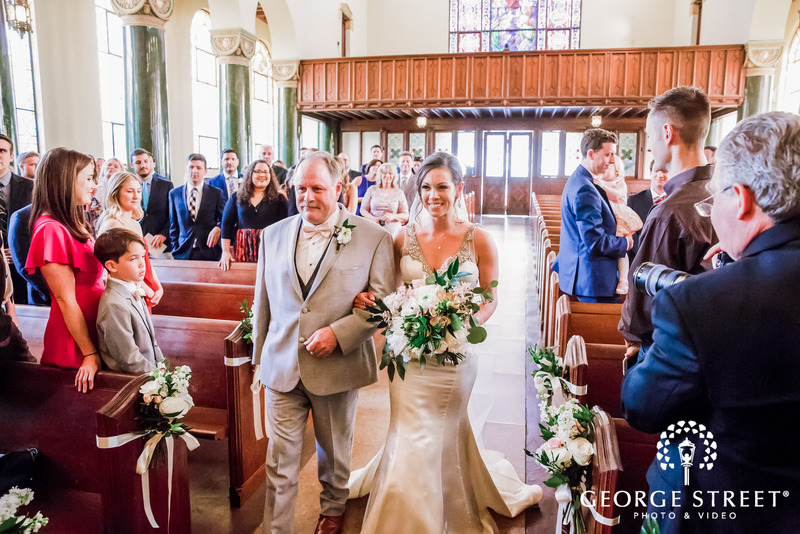 It was a perfect day to capture Ryan and Sarah’s nuptials as they embarked on their new life with a traditional church wedding. 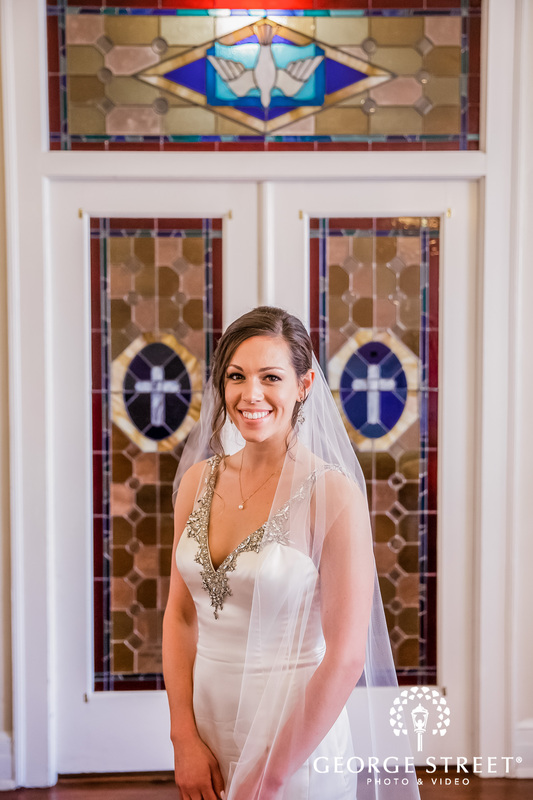 The stained glass windows and warm glow emitting in the church made for gorgeous wedding photos. 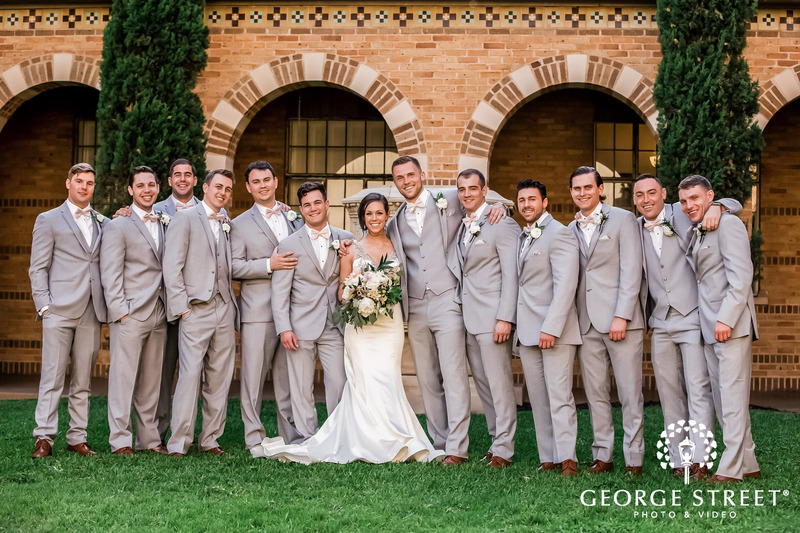 The wedding group took photos at the beginning of the day at Hotel Ella’s entrance. 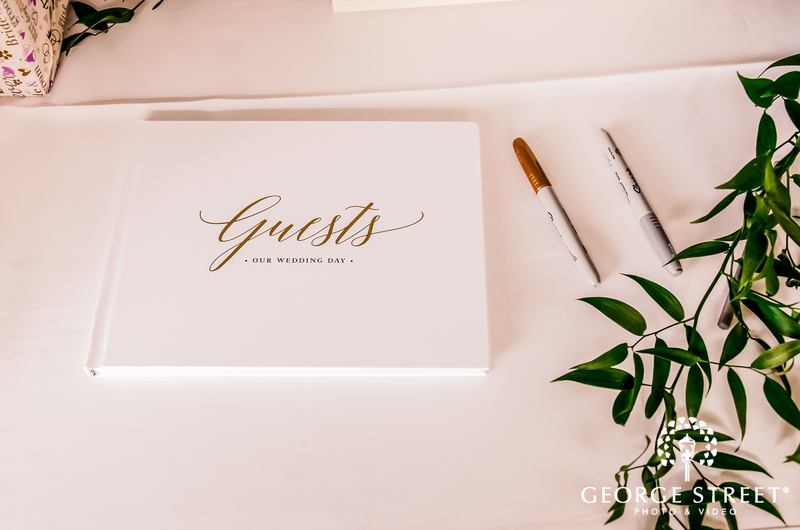 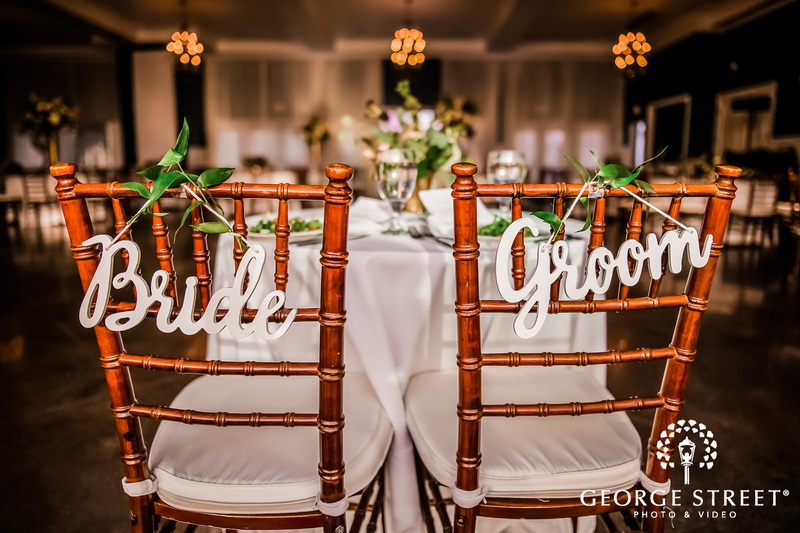 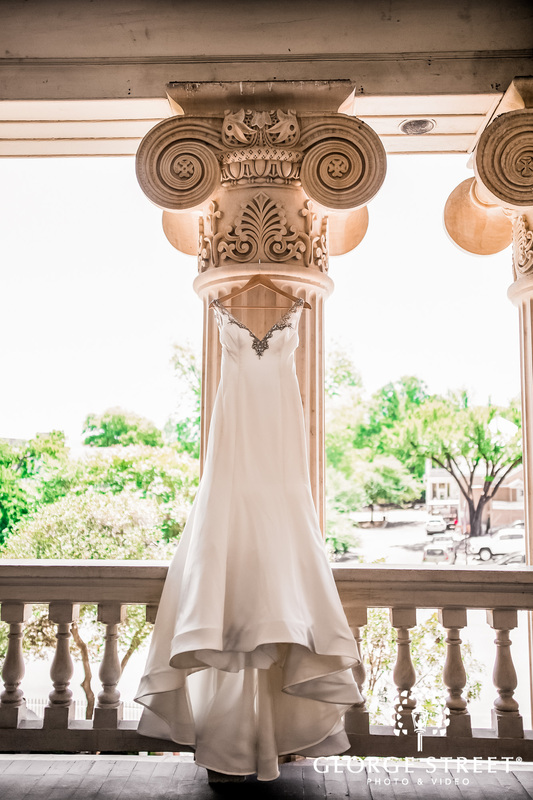 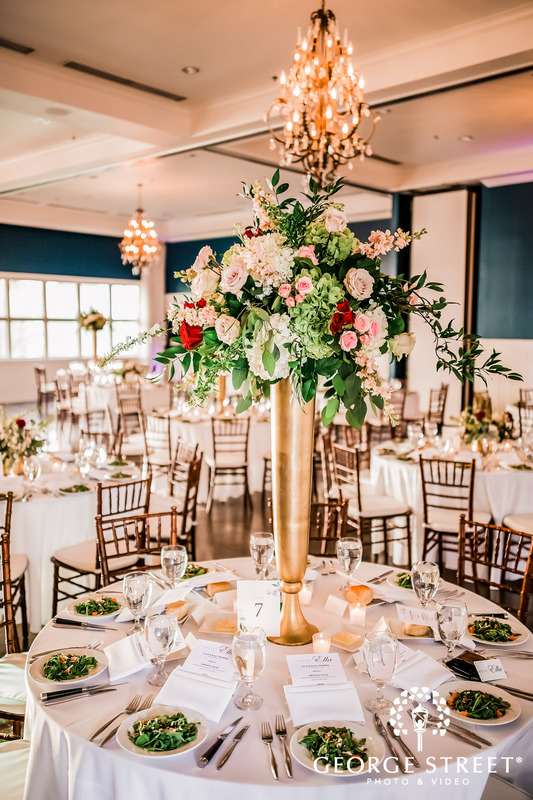 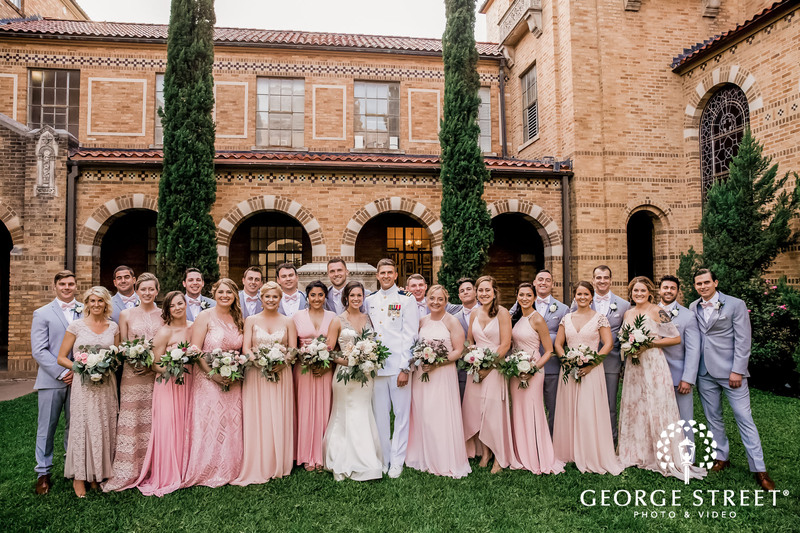 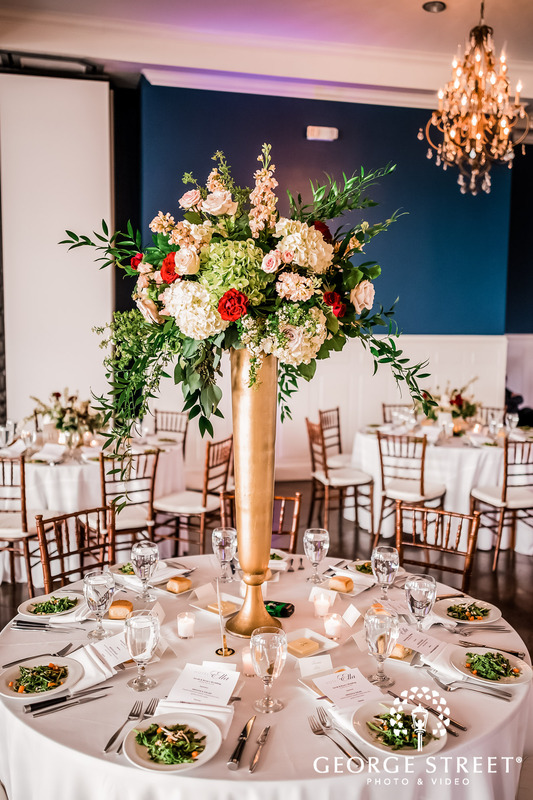 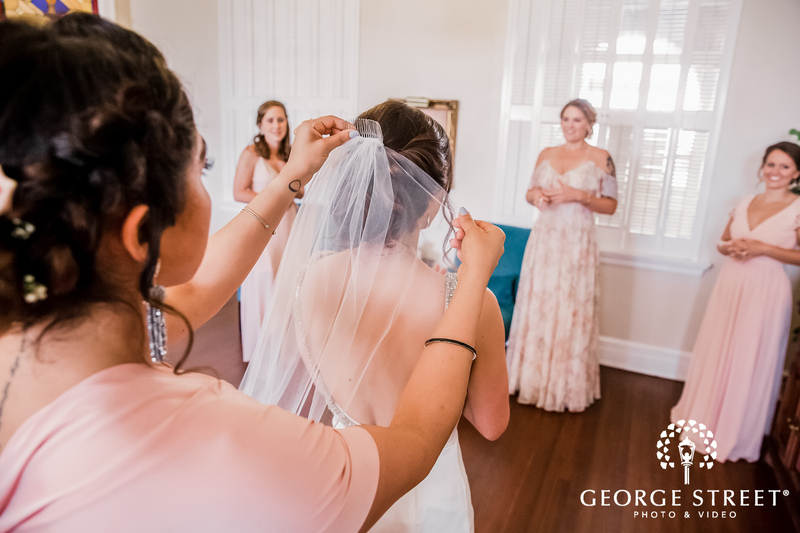 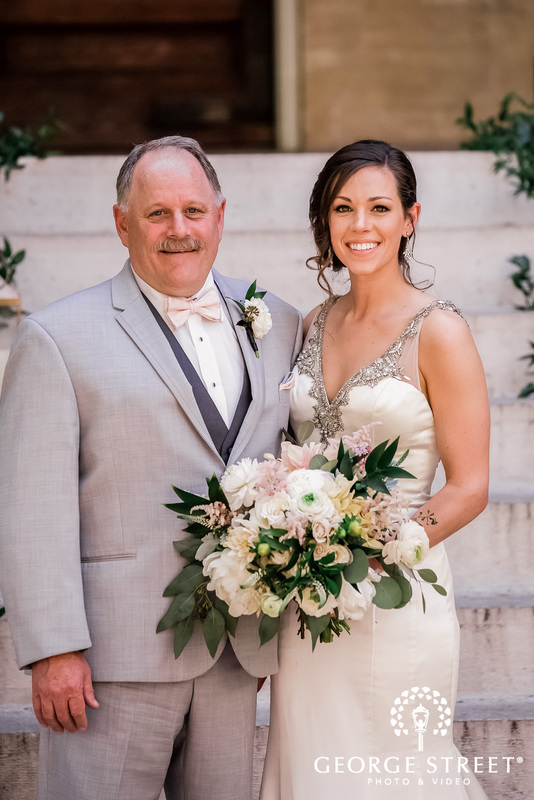 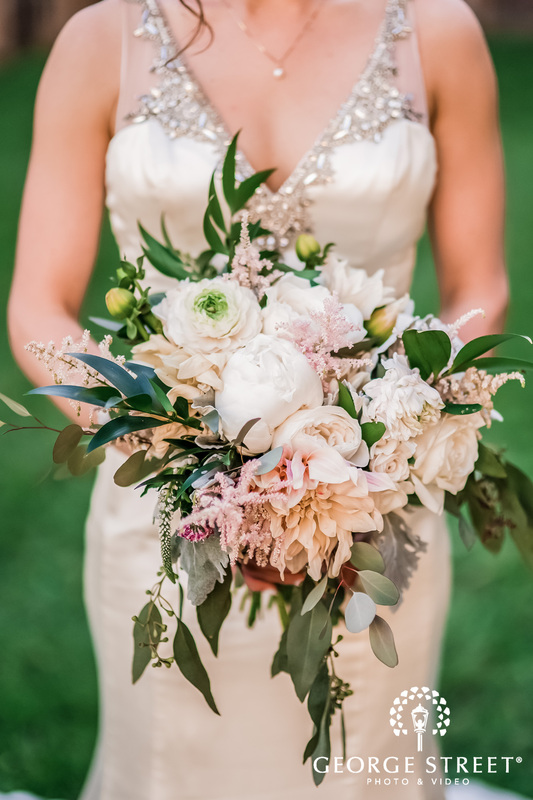 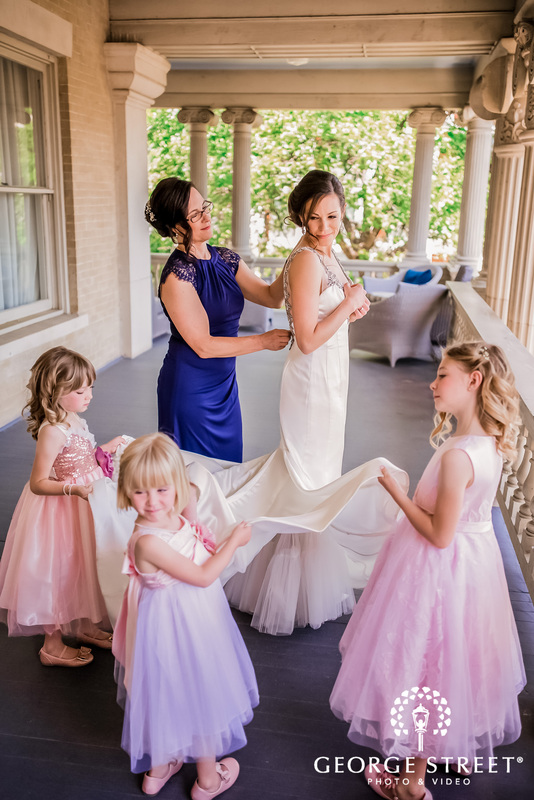 The hotel itself was accented with elegant columns and a wide set porch with elongated trees and hedges all around; it’s an ideal wedding venue for anyone looking for a spring outdoor wedding. 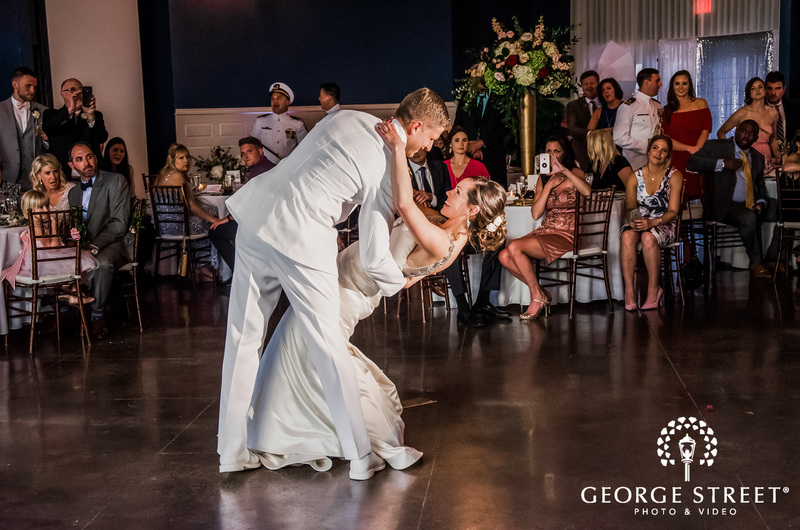 The wedding reception was a sight to behold! 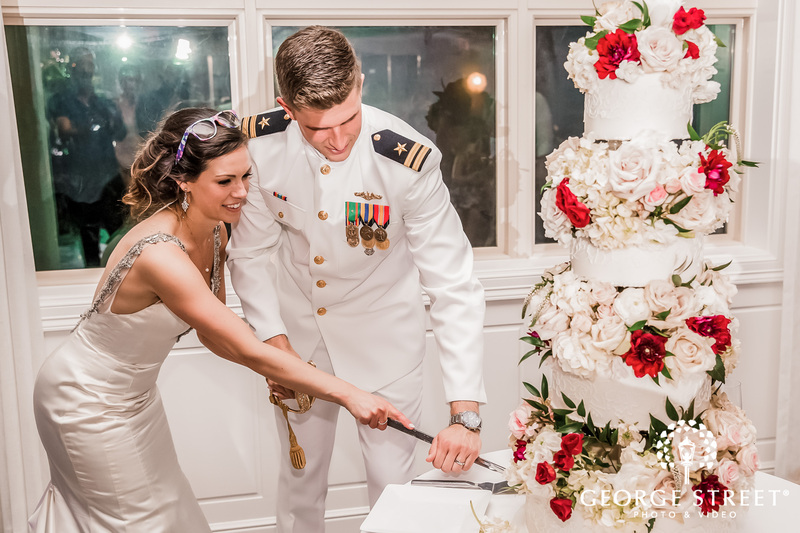 The couple and the guests danced the night away and enjoyed a multi-tiered cake topped with fresh flowers. 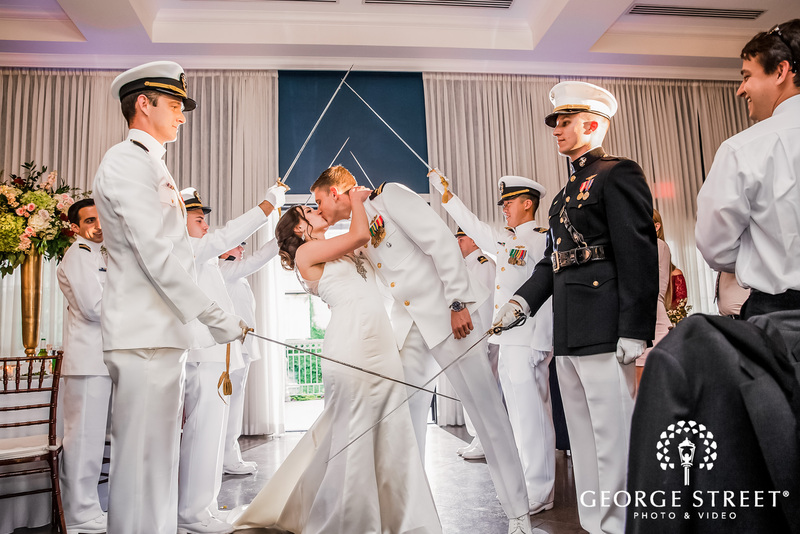 Sarah and Ryan were also sent off in style with a guard of honor style sparkler exit! 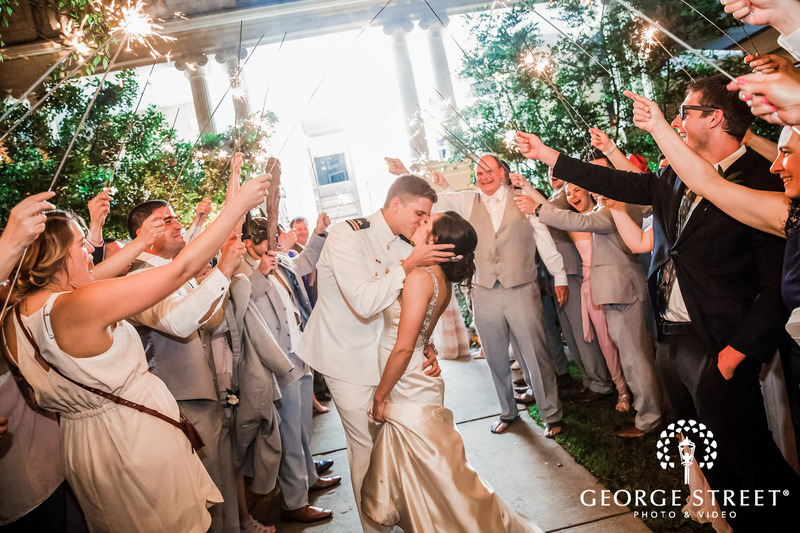 The sparklers lined around the couple as they shared intimate moments and exited off to their new life together.